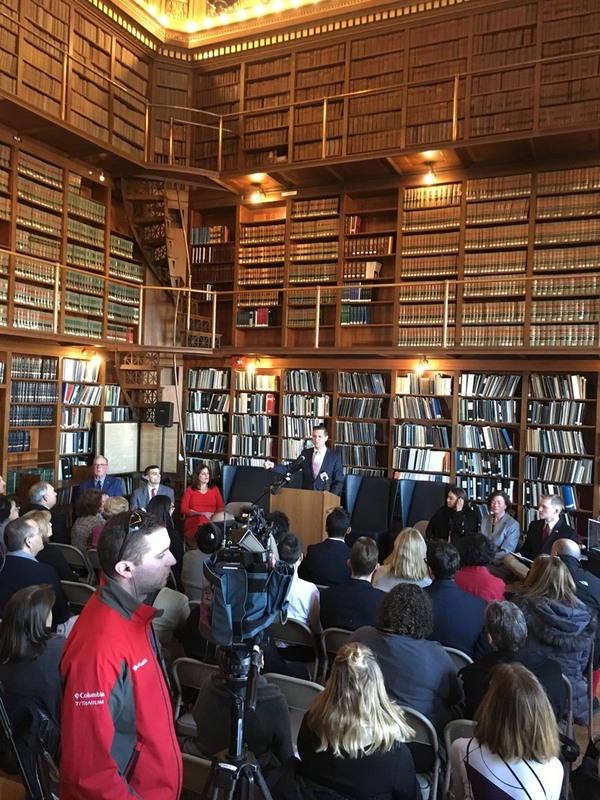 Adam Spring, a SHS teacher, was invited to the State House for the announcement by Seth Magaziner, Rhode Island General Treasurer, to institute mandatory personal finance courses for RI high school students. Seven districts in the state, including Smithfield High School, include personal finance instruction in courses required for graduation. General Treasurer Seth Magaziner would like to see more high school students exposed to personal finance throughout the state. Smithfield High School is being touted as having a model program. The General Treasurer, Senator Sandra Cano (D-Dist. 8, Pawtucket) and Representative Joseph McNamara (D-Dist. 19, Warwick, Cranston) introduced legislation that will expand the teaching of personal finance in Rhode Island's public high schools. Classes that include personal finance would be required to be offered in all high schools beginning in the 2019-2020 school year. Students would be required to demonstrate proficiency in personal finance by the 2021-2022 school year.